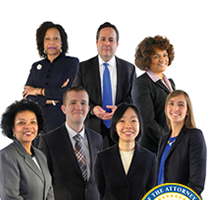 > Download The Department of Law and Public Safety provides law students with the opportunity to partake in exciting internships during the Summer, Fall and Spring semesters. Law interns are exposed to a variety of substantive areas of the law and gain excellent legal research, legal writing, and interpersonal communication skills during their internship. During their internship, students perform a full range of law clerk responsibilities, including: research and writing, assisting with investigations, attending court proceedings and trials, and attending meetings with clients, depositions and other special events.